I've always wanted to be on the ocean, since I was twelve, actually, I wanted to work for NOAA. 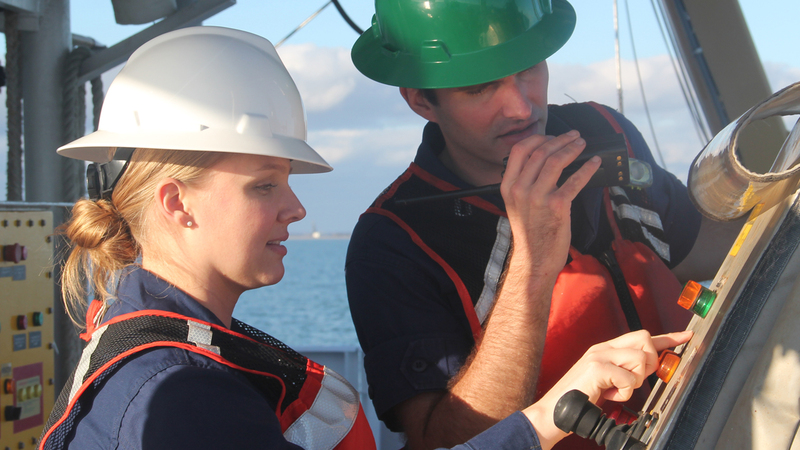 My name is Allison Stone, and I'm a hydrographic senior survey technician on board the NOAA ship Thomas Jefferson. My primary job on this ship is to make sure the ship is seeing the sea floor exactly how the sea floor is. So on a day-to-day basis, I'm doing anything from acquisition, or processing data, recording, reporting, analyzing the data, but also as a senior technician, I'm in charge of maintaining equipment on a regular basis, running the systems, you're making sure everything is working, everything is happy, as we like to say, all the sonars and all the equipment is talking to each other, and just generally making sure that the data coming in is good. Because if that's not the case, then the data coming out won't be good either. What I love about my job is that every day I get to see things that no one has ever seen before, or in ways that nobody has seen it before. We see images of wrecks that are so precise that it's almost like the ship is coming back to life. Very few people ever get to experience that. Being on a scientific vessel and working and living very closely with your coworkers creates an interesting environment. It's not like an office or it's not like somewhere where you get to go home at the end of every day, this is home. And the crew really becomes a family. And we all look out for each other, safety-wise, if you need someone to fill in for you, you help your crewmates out. For anybody interested in science, or who loves science and math, and the environment, oceans, atmosphere, anything, NOAA has something for you. It's a great way to pursue your passions. The commissioning ceremony for the Thomas Jefferson was held in Norfolk, Virginia on July 8, 2003. NOAA ships are run by a combination of NOAA Commissioned Officers and Wage Marine civilians.